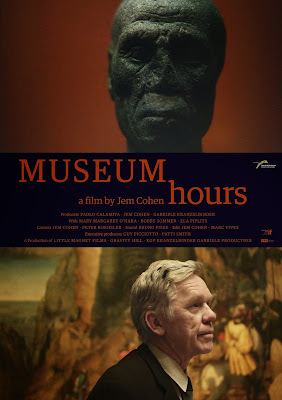 A tender, intimate portrait of care and friendship, life and art, Jem Cohen’s Museum Hours may be best observed in the position of a wanderer. Anne (Mary Margaret O’Hara) makes an unexpected trip to Vienna to care for a dying family member. In Vienna, Johann (Bobby Summer), a museum guard, befriends Anna. He becomes her guide and they travel around a number of unique spaces – the hospital, the museum, and the city at large. Cohen’s fine directorial eye shows Anne and Johann as almost floating around the city. The beautifully rendered scenes softly flow from one to the next, as if they are leaves blowing in the wind or billiard balls gliding across a table. The Film Society of Lincoln Center announced today the complete lineup for the 17th edition of Views from the Avant-Garde (VIEWS), taking place from Oct 3-7 during the New York Film Festival (NYFF). The popular yearly touchstone for experimental film returns with curator Mark McElhatten at the helm, and will contain 35+ programs in glorious Super-8, 16 mm and 35mm film and HD formats. Many familiar faces will return, and VIEWS will also feature 45 new artists and several mini-retrospectives of several of these artists including, Aura Satz, Lois Patiño, Sandro Aguilar, and Jean-Paul Kelly. Views will also offer special tributes to the late Stom Sogo and Anne Robertson whose work is a testimony to the power of a Cinema that is fearless, confidential and inextinguishable. Some highlights this year include, work by Lois Patiño who will showcase multiple programs, group shows, solo and amphitheater cycles. Opening night offers the North American Premiere of Patiño’s first feature COSTA DA MORTE, which just won an award of distinction at the 66th Festival del Film Locarno for Best Emerging Director. Filmed in a region of Galicia, Spain called Coast of Death, derived from the numerous shipwrecks that happened in this region. The film crosses this land observing the people who inhabit it, witnessing the traditional craftsmen who maintain both an intimate relationship and an antagonistic battle with the vastness of this territory. The wind, the stones, the sea, the fire, are characters in this film, and through them, approach the mystery of the landscape, understanding it as a unified ensemble with man, his history and legends. Sandro Aguilar is known internationally as the founder of the production company, “O Som e a Fúria,” responsible for acclaimed films by Miguel Gomes, Manoel de Olivera and many other notable directors. His extraordinary films have been receiving nominations and awards from dozens of festivals worldwide over the last decade or so. Aguilar’s latest film Dive: Approach and Exit will be shown in its New York Premiere along with a selection of short films from 2007 to 2013. 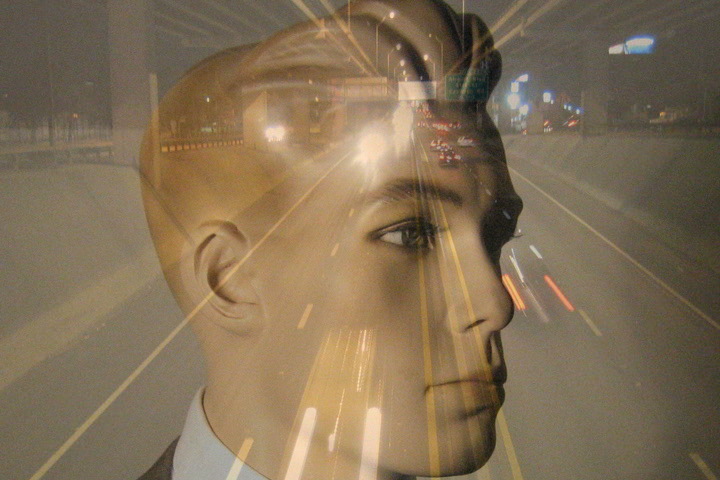 In addition his film A Serpente will screen once with the New York premiere of Scott Stark’s The REALIST. VIEWS will present the World Premiere of Aura Satz’s just completed work Doorway for Nathalie Kalmus, a film centered around the use of color in moving image technology and exploring the disorienting technicolor prismatic effects of the lamp house of a 35mm color film printer. Through minute shifts across an abstract color spectrum, punctuated by a mechanical soundtrack, the film evokes kaleidoscopic perceptual after-images (bringing to mind Paul Sharits, Dario Argento and the Wizard of Oz). SUNKEN TREASURE will be part of a special closing day of VIEWS that seeks to dissolve boundaries in the way we categorize and approach cinema of different origins and genre by presenting relative rarities directed by John Stahl and Max Ophuls, along with the works of Stan Brakhage and Nathaniel Dorsky. The evening will conclude with the last presentation in this year’s edition of VIEWS titled Kodachrome Dailies from the Time of Song and Solitude (Reel 2)by Nathaniel Dorsky, includes screening unreleased materials for the first and only time to a public audience. Over 200 individual works will screen this year from all over the world, including: Argentina, Austria, Australia, Brazil, Burma/Myanmar, Canada, Ethiopia, France, Germany. Israel, Italy, India, Japan, Palestinian territories, Mexico, Nepal, the Netherlands, Nigeria, Norway, Portugal, South Korea, Spain, Turkey, Uganda, United Kingdom, United States, Vanuatu and Venezuela. Director Stephanie Spray and Pacho Velez’s film Manakamana will be co-presented by Views from the Avant-Garde and was previously announced in the Spotlight on Documentary section, Motion Portraits. The film will screen on September 28 and 30 with the filmmakers in attendance. Visit Filmlinc.com for more information. The 17-day New York Film Festival highlights the best in world cinema, featuring top films from celebrated filmmakers as well as fresh new talent. The selection committee, chaired by Kent Jones, also includes: Dennis Lim, FSLC Director of Cinematheque Programming; Marian Masone, FSLC Associate Director of Programming; Gavin Smith, Editor-in-Chief,Film Comment; and Amy Taubin, Contributing Editor, Film Comment and Sight & Sound. 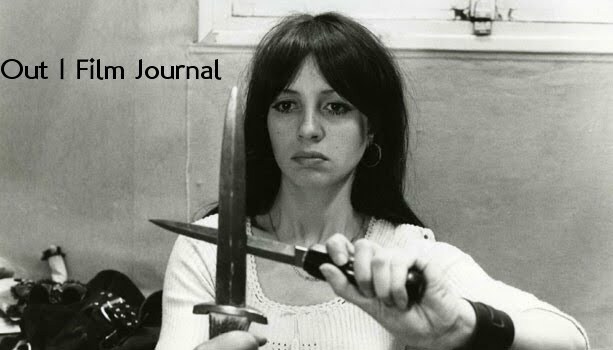 Gain access to the 34 programs in Views from the Avant-Garde with a $99 NYFF Views Badge, which will be available for purchase exclusively online. The badge as well as tickets to individual programs will go on sale September 12th. More ticket information for the New York Film Festival will be available on Filmlinc.com/NYFF. Complete schedule after the break.